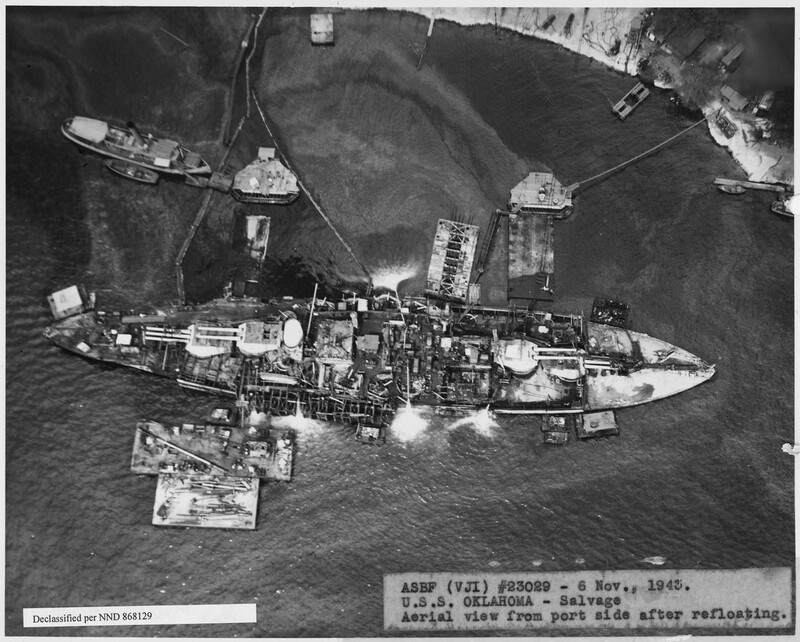 A stunning Department of Navy photo showing an aerial view of the USS Oaklahoma after being refloated at Pearl Harbour. Taken 6th November, 1943. Been a lot of posts about Glenn Miller on iModeler recently here and today is the anniversary of his seminal recording at the Cafe Rouge, New Yok City, November 6th, 1940. Side view of M-3 half-track which has been converted into an ambulance, Camp Young, California, November 6, 1942. Kiev in flames as the German Army goes into retreat 6th Nov 1943. 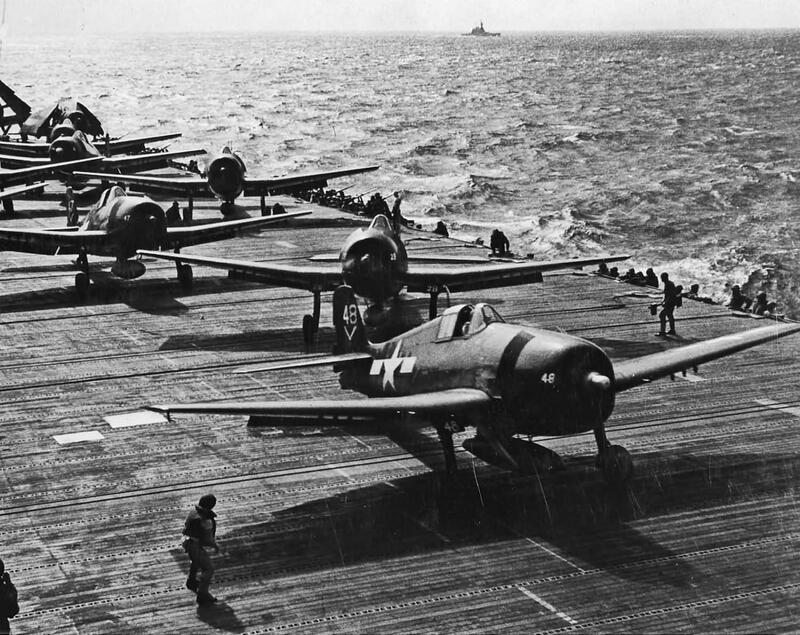 F6F-5 Hellcats of VF-80 prepare to launch from the aircraft carrier Ticonderoga (CV-14) November 6, 1944. An Armstrong Whitworth Whitley (very seldon seen in the modelling world) Mark V of No. 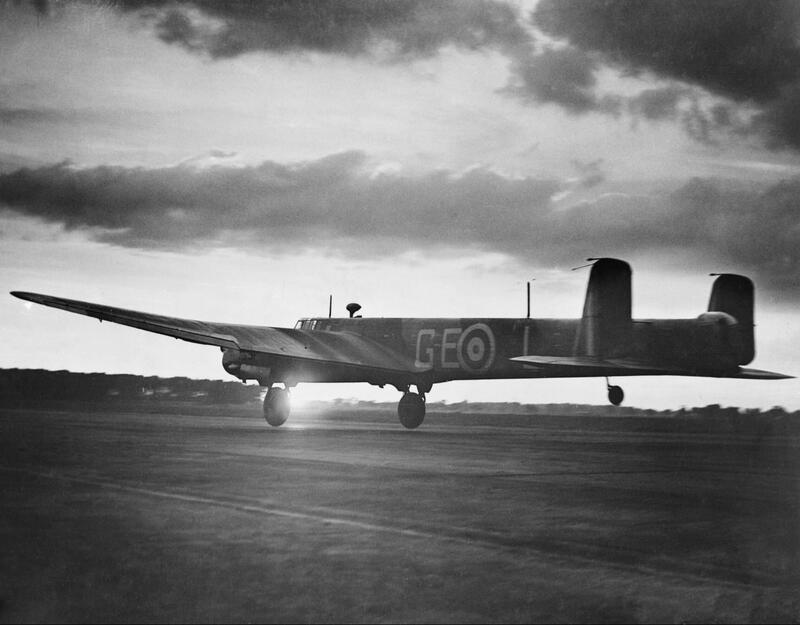 58 Squadron RAF, takes off on a night mission from Linton-on-Ouse, Yorkshire, England on Nov 6th, 1944. Photo taken on Nov 6th 1944 of ‘Fat Man’, the world’s first plutonium weapon that was later dropped on Nagasaki in August of ‘45. The Manhattan Project worked under increasing pressure caused by the belief (mistakenly) that the Germans were close to developing their own nuclear weapon. 20 responses to On This Day…November 6th. This is such an interesting series. Thanks, Martin. It’s really interesting and thought provoking to put together. Keeps the grey cells working in the prefrontal cortex. November 6, 1944 (the Whitley)? My guess from the insignia would be November 6, 1941. Tom, we were both wrong but I was wronger – it was Nov 6, 1939. This Whitley was later lost on 17/18th June 1940 on a raid to Gelsenkirchen, Germany. The Whitley was depicted on the cover of a book ‘The Pendulum and the Sythe’ – an account of the missions of Number 4 Group, Bomber Command. The Whitley shot is very nice – sun low in the sky and the aircraft just off the tarmac. The Oklahoma photograph is both impressive and sobering when you see the amount of punishment she took. Thanks for posting David, great series indeed! Michel, great to hear from you! Great Pictures, love these, keep them coming. Greg, you could have done it for the RAF 100 GB !! It’s a great and under represented model, Greg. It’d be nice to see you take her on – wheels up and 72nd scale, of course. Nice series David. I like the way you do this. Thanks, Gary – appreciate the support my friend. Excellent set of photos, that I have never seen. Great shots, love the Whitley photo!